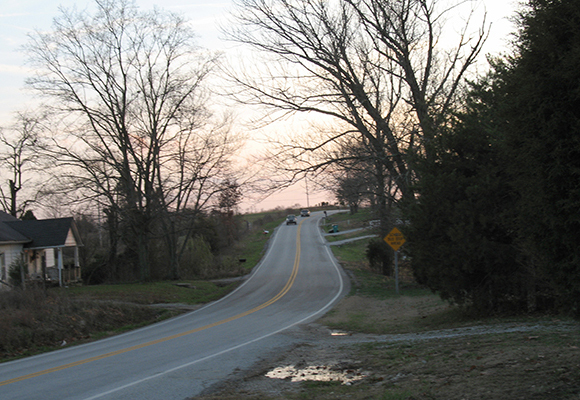 Palmer Engineering was part of team selected to conduct an Environmental Assessment for the reconstruction of 5.6 miles of KY-185 for the Transportation Cabinet. Palmer responsibilities included air, noise, socioeconomic, cultural historic, public involvement, and the NEPA document. An alignment shift required baseline addenda, and the socioeconomic addendum required a further Environmental Justice determination for several locations. After those affected were involved in the public involvement process, it was determined that potential relocations of alignment would benefit the project. Project team members completed bat surveys and archaeological investigations. Bats were discovered in known caves in the project area, which led to the decision among KYTC personnel and the project team that blasting could affect the bats’ welfare; thus, the alternative was moved further away. Additional archaeological studies were also needed because of the culturally rich area near Green River. After consulting with FHWA, DEA, and the Transportation Cabinet, the project team decided the environmental impacts were mitigated to the point that the NEPA document could be downgraded to a Categorical Exclusion Level III. This document downgrade should save time on the project schedule.